Display pipes by Shires on the Tickell organ in the Church of St Mary-le-Bow, London. 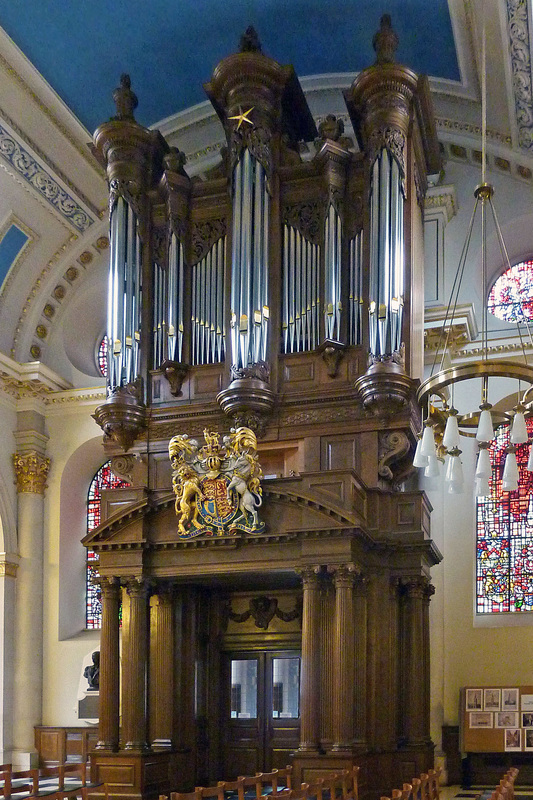 Shires has the skill and experience to make display pipes to your specification, such as those on the left created for the organ in St Mary-le-Bow, London. We can also design the mouths according to your wishes, whether it be for the upper or lower lips. On this site you will see some of our display pipes featuring Roman, diamond or bayleaf patterns. Front pipes can be fitted with hooks or the hooks can be provided to be soldered on later. On 16ft pipes, we solder a zinc sleeve on the inside of the body to strengthen it and guarantee that the pipe will never collapse. We also pay attention to alloys of tin – mainly copper – to help strengthen display pipes. ​ It is sometimes thought that the more tin there is in the alloy, the stronger the pipe will be, but this is not the case. An alloy containing 70 per cent tin is very weak, so careful consideration is taken at all times to the prevention of collapse. The picture at the top of the page, by Nick Moore, is of the inside of a display pipe. 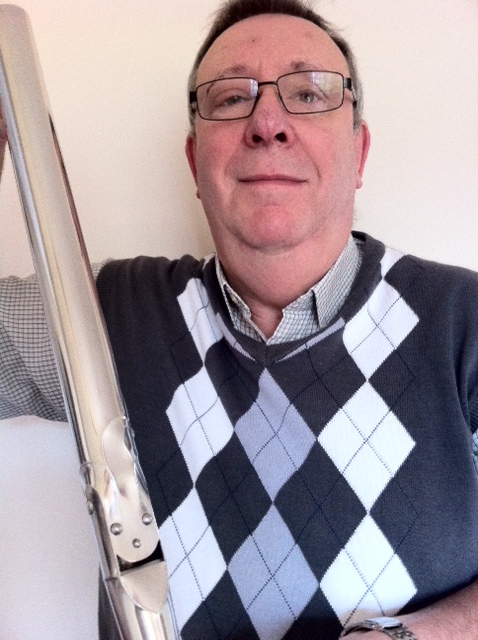 Above: Terry Shires with a diamond pattern display pipe. And, right, lips worthy of Marilyn Monroe. A member of our team carefully marks out and then scores the pattern on a display pipe, left and above, in our workshop. The finished pipe, in an intricate diamond design, the result of hours of precise, highly skilled work, may be seen below. How is the mouth of a display organ pipe created? Here's our colleague Terry Doyle in the workshop making a highly skilled job look effortless on a pipe of 80 per cent tin. The handsome display pipe on the right, with two eyes, a nose and a mouth, is known as a Jester and was made in our Leeds workshop. ​It was commissioned for Guy Russell, right, the tonal director at Nicholsons Organs of Malvern, by his wife as a gift for his 65th birthday. 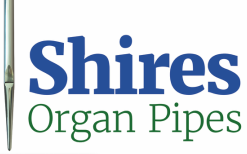 The team at Shires Organ Pipes was delighted to be involved in this special project for our good friend, Guy.